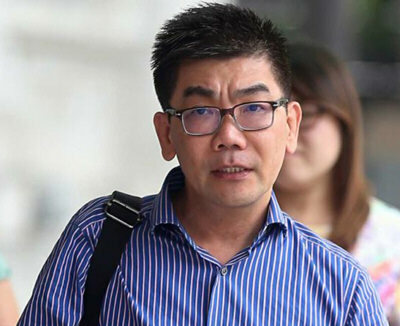 A reknown aesthetic doctor, who was convicted last month of molesting a male doctor and administering stupefying drugs on the 33-year-old patient to commit the offence, was sentenced to 42 months' jail yesterday. Tan Kok Leong, 50, was convicted after an 18-day trial of twice administering Dormicum and Rosiden on the Malaysian doctor in the course of a liposuction procedure at Oasia Hotel in Sinaran Drive, on July 5 and 6 in 2013, and using criminal force to outrage his modesty on those two days. The prosecution is appealing against his acquittal of a molestation charge at Life Source Medical Centre at Novena Medical Centre where Tan was a partner on June 6 that year. Life Source has since closed. Tan, who has been in practice for more than 25 years, claimed in his defence that the acts were committed for clinical purposes. He also said the patient had given his consent for him to carry out the acts in question. But in his brief oral grounds, District Judge Siva Shanmugam found that the defence of consent was not made out. As for the outrage of modesty offences committed while the victim was sedated, the judge said an inference could be drawn that Tan had administered the stupefying drugs on July 5 and 6 in 2013 to the victim with the intention of molesting him. Deputy Public Prosecutor Alan Loh and Assistant Public Prosecutor Thiagesh Sukumaran had sought a deterrent sentence of at least five years and eight months to send a strong signal to medical professionals. DPP Loh argued that Tan had touched the victim's private parts multiple times over the course of two nights. More than 20 photographs were taken which were a "gross invasion of the victim's privacy", said DPP Loh. It was fortunate that Gerald Tan, Tan's then partner at Life Source, discovered the photographs and immediately reported it to the victim, who subsequently lodged a police report. Judge Shanmugam said the offences were premeditated. The victim, who had regarded Tan as his mentor, was vulnerable and defenceless as a result of being sedated by Tan, he said. He found that Tan had not shown any remorse and subjected the victim to a series of scandalous allegations. The maximum punishment for outrage of modesty is two years' jail, a fine and caning. For administering stupefying drugs, the maximum is 10 years' jail and caning. Tan escapes caning as he is above 50.